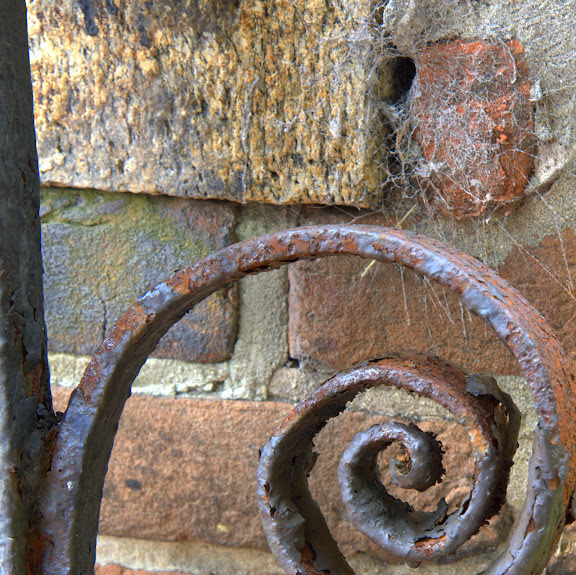 The spider's web marks the entrance to this hidey-hole in the very old brick and iron fence enclosing the grave yard of old Saint Paul's Church in Norfolk Virginia. Crumbling bricks and mortar, peeling paint and rusting iron add to the charm of the local landmark. Canon 40D, 1/25 sec @ f/8.0, ISO 200, 45mm focal length.